Georgia stonemason Henry White is credited with building this structure about 1868. 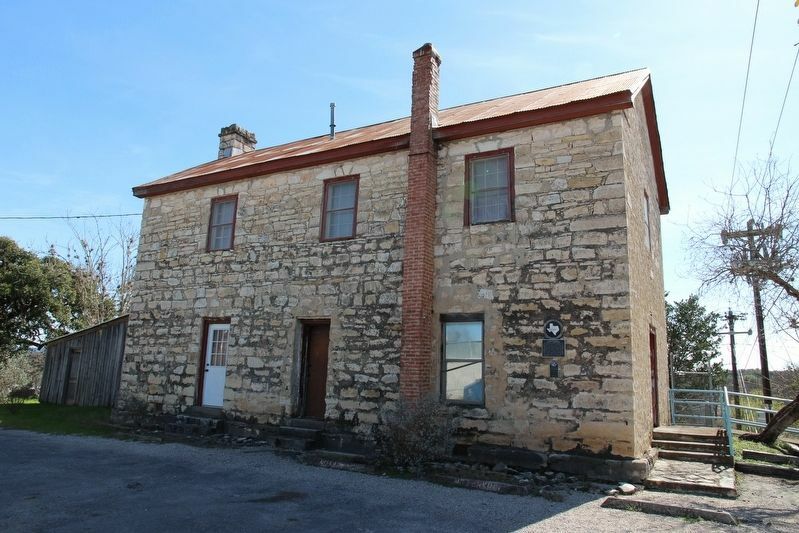 In 1877 a store occupied the first floor and the Masonic Lodge met on the top floor. 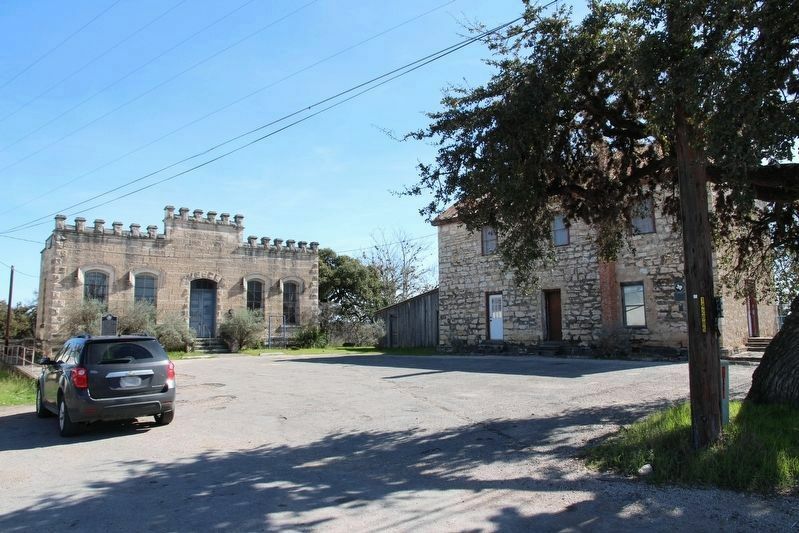 County commissioners bought the building that year to provide space for county offices, then housed in rented quarters. The county retained ownership of the structure after a larger courthouse was erected in 1890. Location. 29° 43.486′ N, 99° 4.154′ W. Marker is in Bandera, Texas, in Bandera County. Marker is on 12th Street, on the right when traveling west. Touch for map. Marker is at or near this postal address: 200 12th Street, Bandera TX 78003, United States of America. Touch for directions. (approx. 0.2 miles away); Bandera Historic Town Center (approx. 0.2 miles away); Bandera, "Cowboy Capital of the World" (approx. 0.2 miles away); Great Western Cattle Trail (approx. 0.2 miles away); Bandera, Texas USA (approx. 0.2 miles away). Touch for a list and map of all markers in Bandera. More. 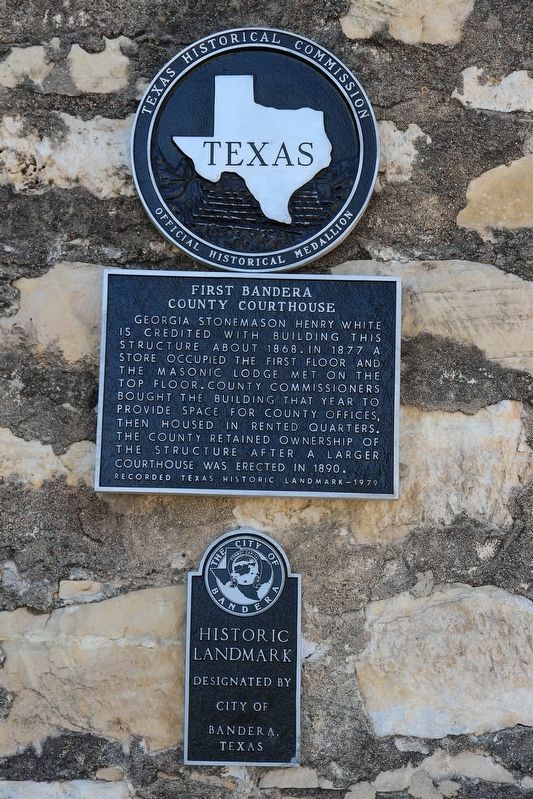 Search the internet for First Bandera County Courthouse. Credits. This page was last revised on February 26, 2019. This page originally submitted on February 26, 2019, by Brian Anderson of Kingwood, Texas. This page has been viewed 33 times since then. Photos: 1, 2, 3. submitted on February 26, 2019, by Brian Anderson of Kingwood, Texas.